The most important thing you can buy to improve your coffee is a higher grade of whole bean coffee. This may cost more but getting cheap coffee is like getting really cheap beer. It does the job but tastes so much worse then a really good microbrew beer. You can also compare cheap coffee to going to a bad fast food restaurant vs going to a really high end restaurant. GRINDERS - WHY YOU SHOULD HAVE ONE. 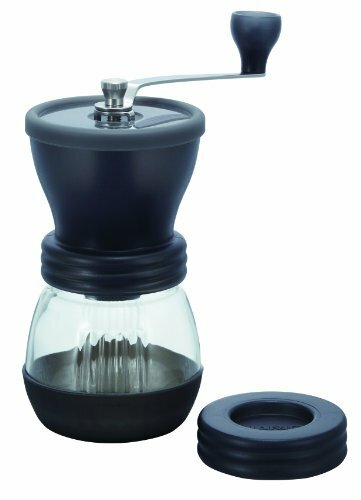 However the most important item you can buy for improving your favorite coffee is getting a grinder or if you already have one, getting a better kind of grinder. Coffee will go stale very quickly after being ground. The exact amount of time it takes is open for debate and subject to personal taste but pre-ground coffee is always worse then fresh ground coffee. 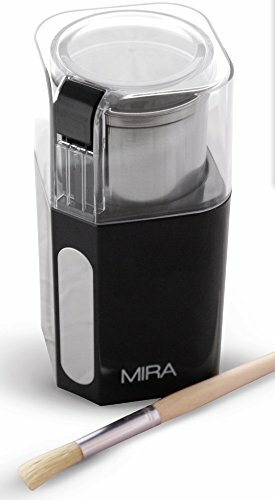 If you don't have a large budget or just don't' want to spend much you can get a blade grinder which is significantly better then pre-ground coffee in my opinion. You can also get a manual coffee mill if you don't mind using a little elbow grease to grind your coffee. If you want even better coffee get a Burr grinder. The grinder it's self dictates how well and evenly you can extract your coffee. If you have a grinder that grinds unevenly your coffee will be over AND under extracted. Causing your coffee to have a lot of unwanted flavors in your finished product. Besides buying specialty coffee, like our coffee, getting a Burr Grinder is easily the best way to improve your coffee. Always look for a conical burr over a mill style. The Capresso Infinity Burr Grinder to the right is easily the best bang for your buck I have found and it's the one I regularly suggest when asked about grinders. However if you are regularly making espresso on a higher end machine I would suggest getting a Baratza or similar grinder. The Baratza grinders have a lot more control on grind settings especially at finer grinds. I would still recommend the Capresso Infinity for courser grinds. I'm going to say it, Keurigs are awful on many levels. They do provide extreme simplicity and ease of use but at what cost? Keurig's cost for coffee IS HUGE! Did you know that if you use a Keurig you are paying approximately $50-$64 dollars for the equivalent of a pound of coffee! For $20 dollars + 6 dollars for shipping you can get a pound of high grade single origin coffee from Double Jump Coffee. That pound of coffee will make approximately 64 cups of coffee. The other thing is how old is that coffee in that pod? I don't know for sure but from the taste of it IT'S OLD, really old. The pods the Keurig uses are just waste. Do we really need more plastic trash to throw away? I personally don't think we need more. Not knowing the source of your coffee is a bigger deal then you would think. If you don't know the source of the coffee you can't find out how it was produced. Did the farmers get paid fairly? Was the coffee grown in the highlands or was the coffee grown in the lowlands. Was the natural habitat destroyed to produce the coffee? What grade was the coffee? The questions can go on. Now after reading that you might be looking for something that is better, and cheaper then your Keurig Machine? 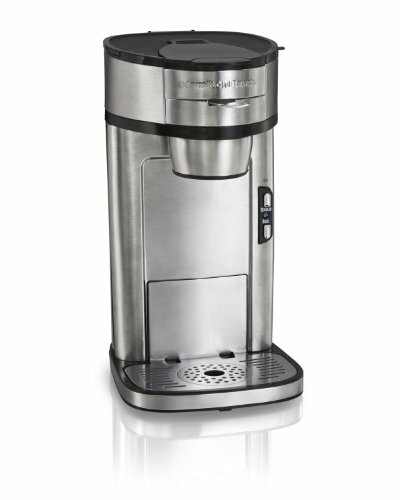 This single serve Hamilton Beach coffee maker is actually really good! I got it for my Grandfather so he would stop drinking instant coffee and He loves it! 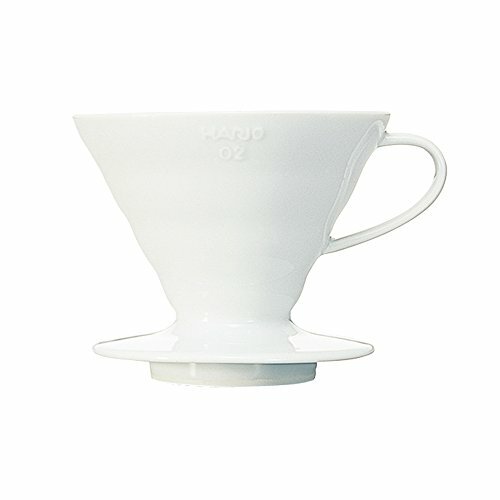 It's super easy to use and makes a very decent cup of coffee. It also has a stainless steel basket so there are no waste other then used coffee. 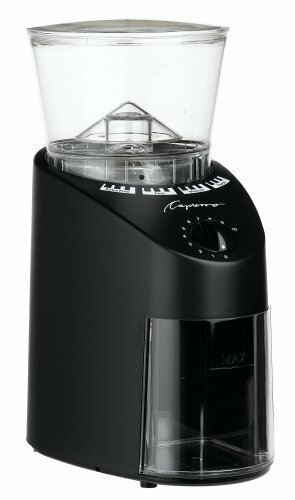 If you get the Hamilton Beach plus a blade grinder it will cost, on average, less then a Keurig machine. Even if you grind the coffee the night before or even longer before and store it in a airtight container you will still be doing MUCH better then the Keurig pods. The Chemex and V60 are two of the best pour over options. It's definitely for people who are looking to take there coffee extraction to the next level. It takes attention and time to prepare but is worth it once you get it down!